Wegner’s relationship with Getama A/S continued following his decision to no longer design for Salesco and he continued to design new furniture for the Company with whom he collaborated on many large interior design projects. GE285 was designed as a compact sofa for educational and residential environments where space is at a premium. In all Wegner developed over 120 designs with the Company and the millennium series designed in 1965, considered too ‘modern’ when first produced is today remarkably contemporary. 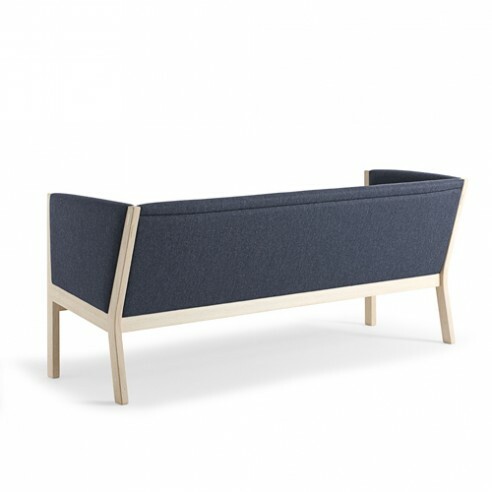 These compact sofas are produced with cushions formed in solid foam for use in residential as well as in commercial environments such as reception or conference areas.